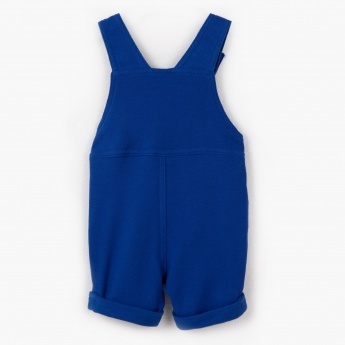 Style your baby to perfection with these jewel-toned dungarees. Made for a soft fabric, they come with snap-fasteners that make them easy to wear. The bright print at the front adds to their trendiness.